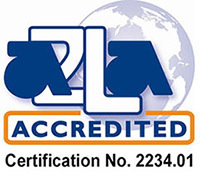 Chemical testing and analysis expertise. Precilab applies the best analytical tools available to ensure that our customers get the data they need, when they need it. Our mission is to provide the highest quality analysis for both trace contaminants and major constituents, regardless of the chemical matrix. We have a proven track record of deliverable analytical quality and superior customer service. We take pride in our work and get satisfaction from helping our customers add value to their work. Precilab personnel are experts in the field of trace analysis, contamination control, and process chemistries. We routinely provide trouble-shooting and problem solving analysis to assist our clients with their analytical needs. Our staff have many years of process support experience and understand the daily challenges our customers face.